Apple (AAPL) did not respond to a request for comment about why the game was removed. Developer Manitoba Games said it was also left in the dark about the game's removal. "We guess the problem was that the game was just too good and got to number one in all categories," the company said in a statement. Apple hasn't yanked other weed-related apps from its store. Weed Maps allows you to find medical marijuana dispensaries near you. And a game called Weed Tycoon lets players set up virtual pot shops, set prices for different strains, and buy farms to grow your weed. "There are certainly a great number of weed based apps still available, as well as games promoting other so-called 'illegal activities' such as shooting people, crashing cars and throwing birds at buildings," Manitoba Games said. While Weed Firm's character is leading a "lawless" career, it's perfectly legal to buy and sell pot in the state of Colorado, though sellers must be licensed by the state and adhere to strict guidelines that Ted Growing may not be used to. 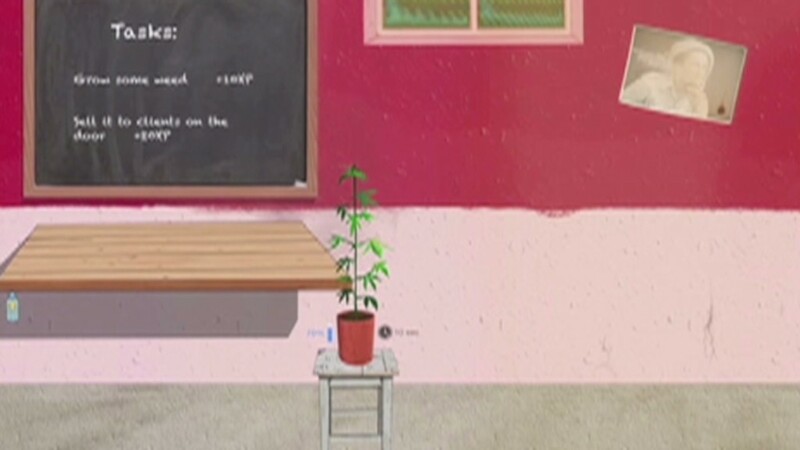 The company says in the opening credits that the game is a work of fiction and is not a manual on how to grow or deal weed. Still, the legality of marijuana remains murky. As of June 1, Colorado and Washington are the only states where you can legally buy recreational marijuana and it remains illegal under federal law. Manitoba Games said it is planning to get Weed Firm back in the Apple store after making some changes. It was also taken down from the Google (GOOGL) Play store, but the company said that was due to a problem with the game's publisher and not with Google. It is expected to return after finding a new publisher.